For clients who wish to stay in Southampton overnight, the following list of establishments may prove useful. To assist visitors to find the new studio here is a photo of the exterior of the building. Interior shots will be available soon. 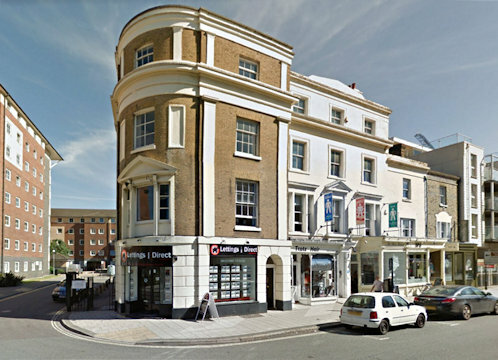 We are located 1 Canute Road. Entrance is at the rear. Take the train to Southampton Central Station. Exit the station at Blechynden Terrace. Turn right and head to Bus stop SA in Wyndham Place. Take Bus number 3 towards Thornhill. Stop at Ocean Village bus stop. Head back on yourself a few metres and you will see us located on the corner of Canute and St Lawrence Rd. Taxis cost £5 - £7 and take approximately 10 minutes.